In 1787 Captain William Bligh, aged 33, was given command of the Bounty, a merchant ship: his mission was to transport breadfruit from Tahiti to the West Indies. The Bounty set sail on December 23rd. Almost everyone knows the story. Or do they? This is Bligh’s version, in his own words. It will very naturally be asked, what could be the reason for such a revolt? …. the mutineers had flattered themselves with the hopes of a more happy life among the Otaheiteans … and this, joined to some female connexions, most probably occasioned the whole transaction. Just before Sunrise Mr Christian and the Master at Arms… came into my cabin while I was fast asleep, and seizing me tyed my hands with a Cord & threatened instant death if I made the least noise. I however called sufficiently loud to alarm the Officers, who found themselves equally secured by centinels at their doors… Mr Christian had a Cutlass & the others were armed with Musquets & bayonets. allowed to collect twine, canvas, lines, sails, cordage, an 8 and 20 gallon cask of water, and Mr. Samuel got 150 lbs. of bread, with a small quantity of rum and wine, also a quadrant and compass; but he was forbidden, on pain of death, to touch either map, ephemeris, book of astronomical observations, sextant, time-keeper, or any of my surveys or drawings. This would have been, for most seamen, a death sentence. 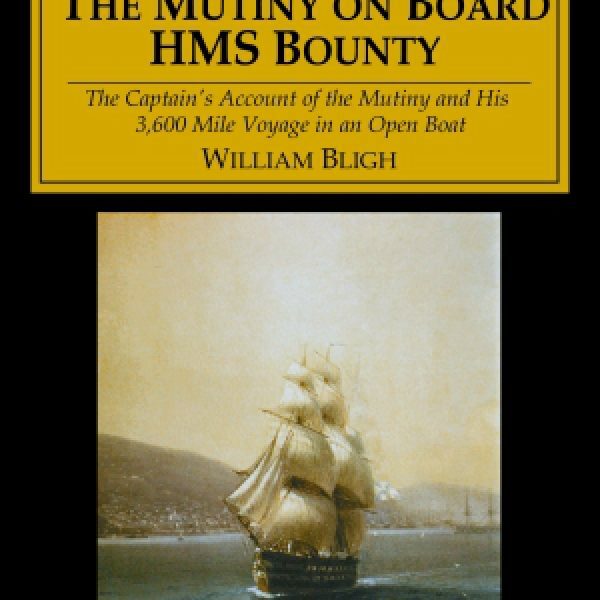 But Bligh pulled off one of the greatest feats of seamanship in history: his took his boat straight for Timor, Java, covering 3618 nautical miles in 47 days – with not a single man lost. 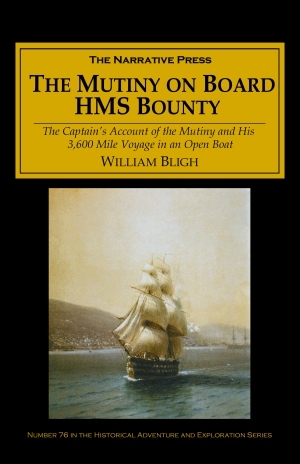 Was Bligh a villain? Or a just a stern captain – like most others of his time – with a bad crew? 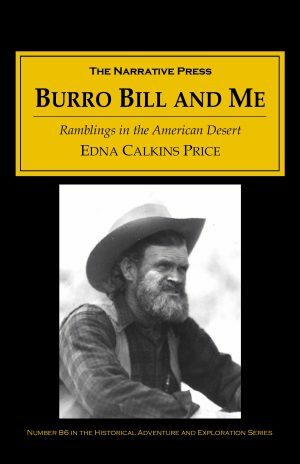 This book is more interesting than the near-fictional 1932 Mutiny on the Bounty by Nordoff and Hall or any version produced by Hollywood.